If I was in the Phase II fold right now I'd be getting seriously concerned. 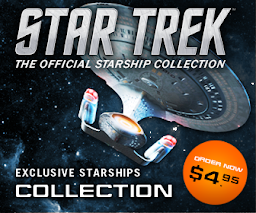 While we still await the release of The Holiest Thing which has been delayed since February, Star Trek Continues have now launched their third installment - and the second one in just six months. Filmed during March with second unit filming in mid-April 2014, their latest episode takes us back to not just The Original Series but one of its most influential episodes. Mirror, Mirror spawned a whole series of Deep Space Nine episodes and the standout story from Enterprise, In a Mirror Darkly. As with that two parter, Mignogna and the Continues crew have set this story purely in that universe and cleverly continued the narrative from Kirk's original venture there. Indeed, the opening scene is word for word and move for move a "Mirror, Mirror" of the Shatner and Nimoy conversation we've seen more times than we dare count and then the new script kicks in. If you ever wanted to know just how the Mirror Spock began the reforms that Kira talks of in Crossover, then this is the episode for you. 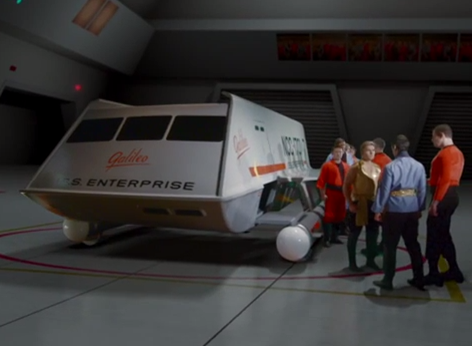 Taking place directly after the events of the original this is the Mignogna and Haberkorn show from the off, placing the characters of Kirk and Spock in opposition. It's unusual to see the two characters not continuing some form of bromance and instead be at loggerheads as "Prime" Kirk's influence begins to manifest itself. At first it's logical suggestion to spare the Halkans but over time it evolves into mutiny and the desire to reform the Terran Empire. 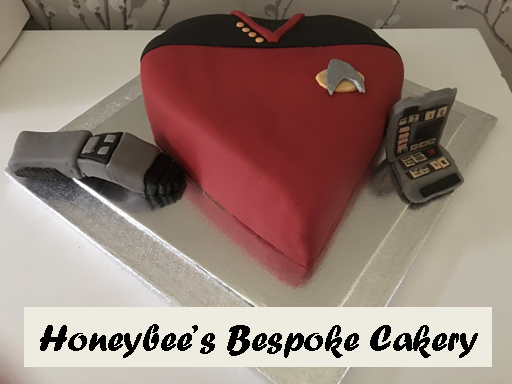 Storywise it's straight-forward bottle show material with all the action taking place on the ISS Enterprise as captain and first officer go head to head for control of the starship. Without doubt Kirk and Spock are front and centre here with the two actors putting in sterling performances all the way. 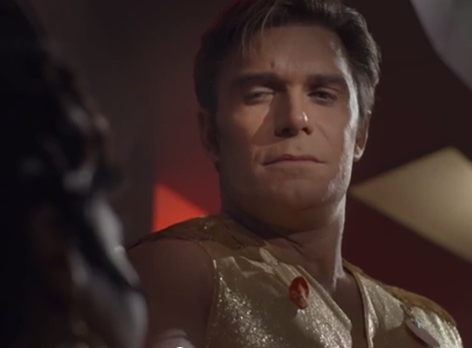 I made some comments in the review of Lolani that Vic Mignogna was channelling a little Shatner but now I think it's the right direction and in Fairest of Them All the nuances and intricacies of the original Kirk actor are superbly recognised and recreated making this a true Continu-ation. 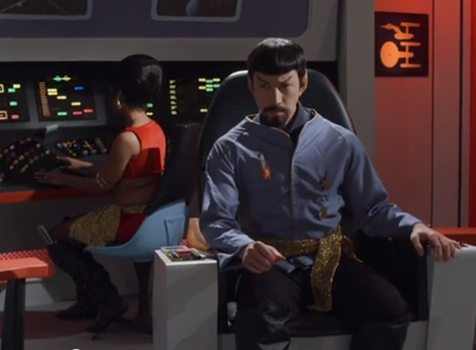 Todd Haberkorn is excellent as Spock, charting quite a change in the Mirror universe version of the character from cold, calculating officer to peacemaker in 40 minutes. His performance previously was described as a bit stilted but in this episode he's nailed the role and adding the beard seems to have worked wonders. Maybe having the chance to play with the character away from the "norm" was just what the doctor ordered and the final scene is just the icing on the cake - but we'll say no more on that to make sure you watch! Mignogna does enjoy a good scene-chew as the more evil and less-morally restricted Kirk, doing what the hell he likes and screaming blue-murder to the last. There's also several wonderful occasions where there's a typically 1960's Star Trek drop in the lighting to place the captain in some shadow to add to the mood (and some soft focus for good measure). 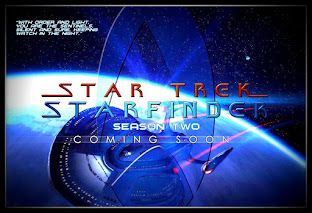 Continues really has hit the mark to recreate The Original Series - music, lighting, atmosphere, even the way in which the Tantalus Device is revealed and activated are authentic to the memory of The Original Series; you would easily believe that this story could have been slipped into the fourth season and the script, from a story by Mignogna, would have suited Shatner and Nimoy to a tee. A bottle-show this may be but the story does explore the idea of change and reform while adding a lot of action elements at the same time. There aren't a lot of effects moments either which means this relies more on the power of the cast and the story to keep your attention. From memory there's a couple of phaser shots, a transporter beam and an Agoniser in use which isn't a lot but then it doesn't need more to keep you watching for the duration. However, I do have some reservations no matter how good I think the end result is. For a start the characters of Uhura and Scotty seems almost identical to their Prime alternates in fact the former seems far from aggressive or adversarial, seeming more like a pushover when it comes to choosing or switching sides. 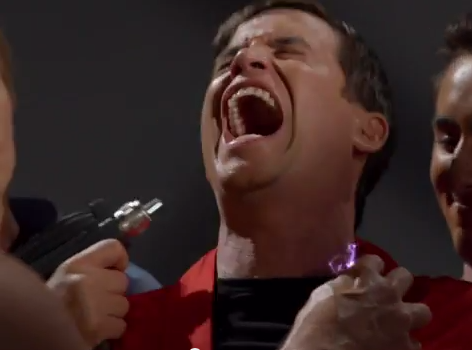 While Scotty does side with Spock he too just comes across as "normal" Scotty. I have nothing against Chris Doohan's performance but would this engineer really have survived so long to make chief in the Empire given his relaxed attitude? How cool would it have been if this Scotty was a raving alcoholic with a wry twinkle in the eye and a penchant for slitting the occasional throat or two? Just a thought. McCoy does elate some more disturbing qualities and remains loyal to Kirk as he coldly tortures a crew-member for information and I would have liked to have seen more but he's sidelined as with the majority of the crew in this story to maintain the focus on the Kirk/Spock dynamic. Larry Nemecek will be missed from the production by fans at the least but new arrival Chuck Huber does an admirable job providing the chills here. 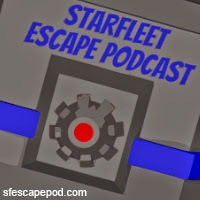 Chekov spends some of the episode in and out of the Agoniser booth or acting as cannon fodder given the captain's mood over his attempt at dethronement and as such doesn't get to do a lot. Sulu is perhaps one of the few to be allowed some exploration of his Mirror personality, complete with scar and redshirt. He certainly is just slimy as we might remember George Takei's performance originally and Grant Imahara looks to have enjoyed taking a more liberal role here as the security officer out for blood. Sadly he's the only one who gets any time with Michelle Specht (Doctor Elise MacKennah) who turns up in a brief role as his girlfriend when called to the captain's aid. Taking up some bridge duty is Kipleigh Brown as Smith. It's a decent enough part but again leaves little for the actress, familiar to Star Trek fans for a role in Enterprise, to spread her wings here. She does manage to get berated by Kirk as a highlight but beyond that she remains steadfastly at the helm and I do hope she comes back in the next episode and gets more involved in the action! The biggest revelation has to be the actress onboard to play Marlene Moreau. Asia DeMarcos could well be a clone of Barbara Luna who played the part in Mirror, Mirror. Her mannerisms are very close to Luna's and she does a great job here as a foil to Kirk as well as one of the architects of the deluded and increasingly erratic Enterprise captain's downfall. Fairest of Them All may not venture to new worlds or new civilisations here, choosing instead to make use of the standing ship sets but that takes nothing from the excellent result. Cutting the running time to 40 minutes certainly makes this a tighter and more refined episode, moving from beat to beat and maintaining a high level of energy and momentum throughout. My one point of concern though is just how fast this revolution seems to be happening given that it's taking place right after the Prime versions of Kirk, McCoy, Scotty and Uhura have only just returned to their own reality. That aside, this has to be one of those episodes that should have been made and never was. 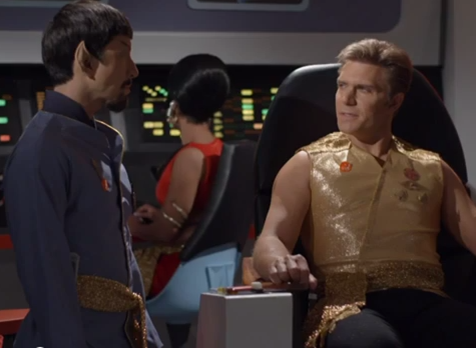 The Original Series really was owed another stab at the Mirror Universe. Spock's motivations and Kirk's opposition fit perfectly with the original if we if we ignore the speedy transition and you do sense that we're getting payoff and answers to questions we've always had about the Mirror Universe. It also confirms that this isn't just some twisted evil place rather a twist on the characters that we would get. from the subsequent Deep Space Nine revival in the '90's. I have to admit that some of the comments we made about Lolani seem trivial now with a third episode of such calibre produced in such a short space of time and no doubt another in close behind. 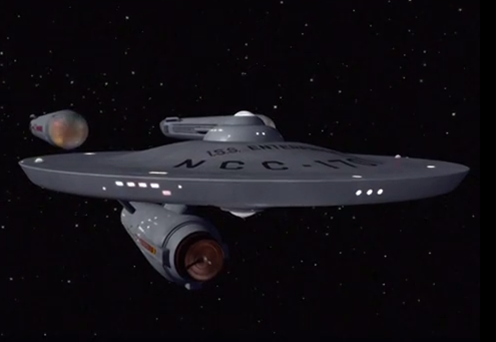 Indeed that timescale is impressive given that to produce this episode the crew looked back to the original story to accurately recreate not just those "minimal" uniforms in all their shininess but also used Mirror, Mirror as a benchmark to repaint the bridge set as it appeared in the second season. Now that's attention to detail and it all shows right from that scene recreation at the opening of the show. 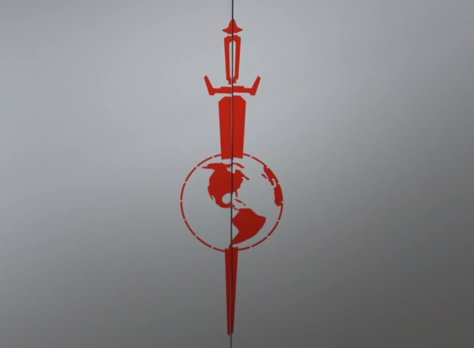 Everything here is just perfect and there's no question that the crew and cast have a genuine love for their work and apparently a few other people do too since Michael Dorn (Worf) acts as the voice of the computer and the recently rebuilt and restored Galileo shuttle makes a triumphant appearance and that guy who turns up as a Halkan? Well he's only Bobby (Gorn) Clark who played Chekov's henchman in the original episode. That's three episodes in a row where notable alumni have been directly involved onscreen and we're even getting defections from Phase II as that series' Kirk's nephew actor, Bobby Rice, gets agonised. Even down to the rewriting of the opening titles monologue, this web-series has done everything in its power to produce something special. While Phase II seemingly struggles to get material and Continues is improving quality with each release. 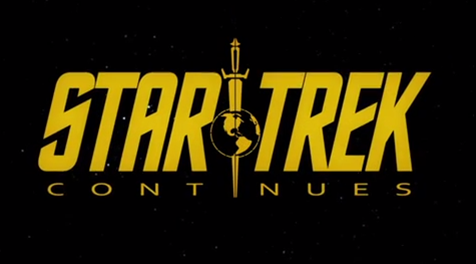 Mignogna and the team have done exactly what it says on the tin and continued the five year mission not providing a new take or a weird parody but instead playing on the strengths and adding new elements and angles to the classic Star Trek show. This is the show that could have been if we'd had a 1969 — 70 season. OK, so it's definitely more in the action/adventure realm than digging deep and looking at thought-provoking themes but there are signs that these elements could well be further developed as with the Spock story here to reform the Empire. 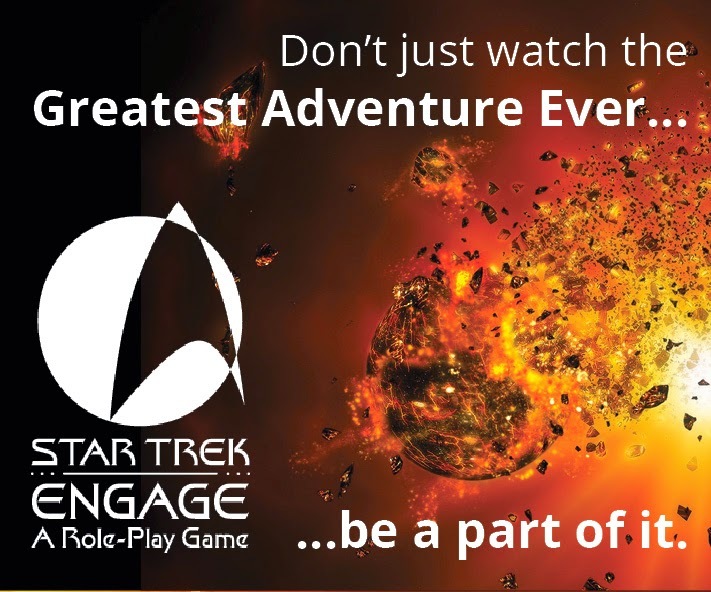 Giving time over to the action element does mean that this could do well with the younger, modern day Star Trek fan who is more familiar with the lens-flare and big explosions of the JJ Abrams universe. When we found out that this show was being devised, Phase II was the series to beat and the one to watch. We expected Continues to take a while to mature and find its feet but in a remarkably short time it has gone from being the young upstart to the head of the pack and should be proud to stand tall against the competition. 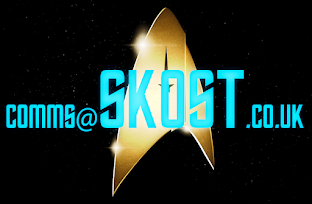 Star Trek Continues is now the level to which all fan produced shows based on the franchise have to aspire to match at the very least and no doubt their next adventure will raise that bar a touch more. What did you think to Fairest of Them All? Was it the episode you'd been hoping for? Let us know in the comments below!